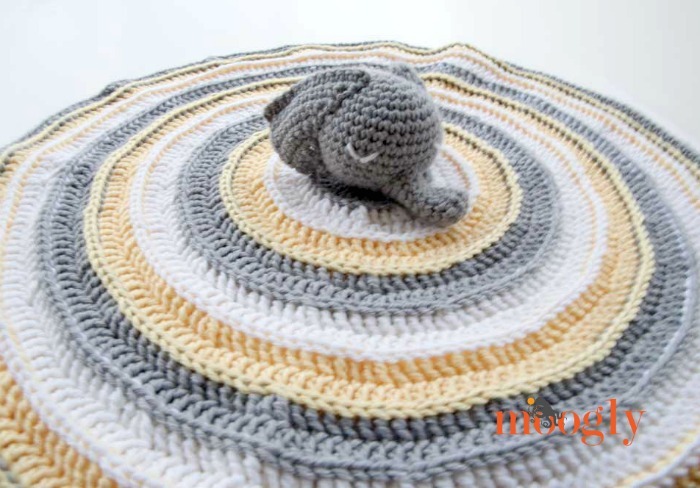 Ella the Elephant Lovey is cute, cuddly, and loves spinning in circles! 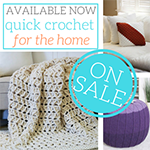 The perfect gift for any baby, they’ll never forget how cute this free crochet pattern is! Make the pieces in the order listed for easiest assembly. EARS INSTRUCTIONS: Use Color A, make 2. Row 6 – 11: Repeat Rows 4 – 5 until there are 12 sts in the row; break yarn leaving a long tail for sewing. TRUNK INSTRUCTIONS: Use Color A, make 1, work in a spiral (no joining). Round 2 – 7: Sc in each st around. (9 sts) After Round 7, break yarn leaving a long tail for sewing. HEAD INSTRUCTIONS: Use Color A, make 1, work in a spiral (no joining), use invisible decreases. Place a st marker in active loop, remove hook and set aside. Sew ears and trunk to head as shown in photos, using the long tails. Using Color B embroider on eyes, or use safety eyes if preferred. Replace hook in active loop and remove stitch marker to resume crocheting. Round 18: (Sc2tog, sc in the next st) twice, sc2tog, sc in the next 2 sts, (sc2tog, sc in the next st) twice. (11 sts) Stuff head with small amount of fiberfill, until head is desired firmness. Round 19: Sc2tog 4 times, sc3tog; break yarn leaving a long tail. Add more fiberfill if needed. Use tail to cinch last round closed. 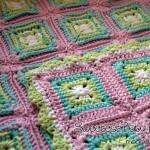 BLANKET INSTRUCTIONS: Use Colors as indicated below, make 1, work in joined rounds (not a spiral). Weave in all your ends, and you’re all set! This sleepy little elephant blanket is ready for cuddles. 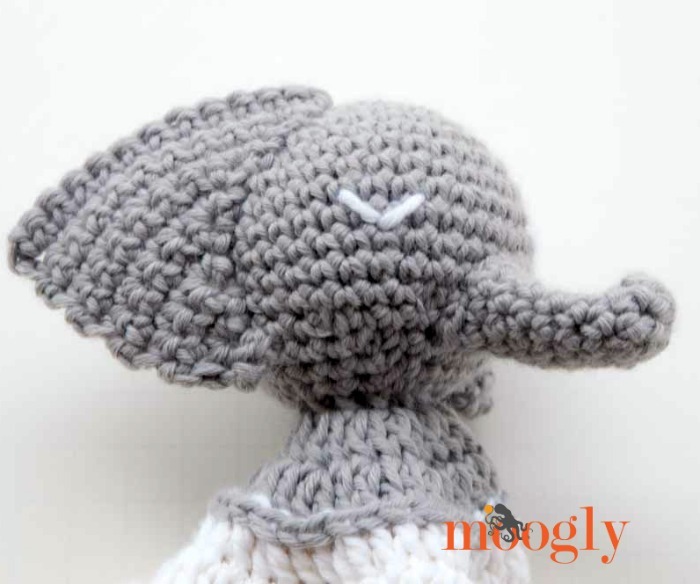 I hope you enjoy making Ella the Elephant Lovey! Lovely colors! Such a great idea for little kids Thanks for the pattern! OH MY GOSH IT IS SO CUTE!! If I ever need a gift for a baby, I”m definitely going to make this. 😀 Thank you so much Julie! This cuddly elephant is adorable. Thansk for sharing the pattern. Thank you so much! Adorable! ? Wonderful pattern! Thank you so much for sharing it. I have been looking for a round lovey with elephant head for my niece for Christmas! This will be ideal. I used this pattern to make a gray and pink lovey for my niece for Christmas. She loves elephants and the color pink. It was easy, quick (i managed to finish it in 3 days), and turned out great! Thanks so much for making this pattern available for everyone! 😀 Thank you Katie! I’m so glad to hear it! Great pattern! I made one in a dusky rose & added a crochet heart. It turned out beautifully! Thank you for such a great pattern. Why do the Ads cover the pattern printout when I want to print a pattern? I can’t figure out how to print without the ads covering the instructions.? Hi Charlotte! Please use the green Print Friendly button – it removes the ads. Thanks so much for helping me out, it worked!!!! I am struggling with starting the blanket part of the pattern. 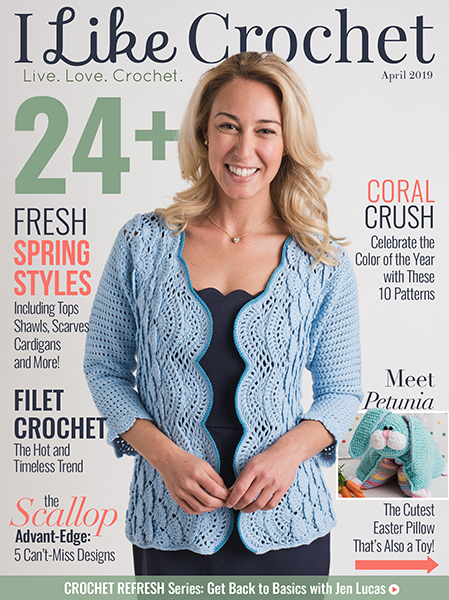 I watched your video on surface crocheting, but I am still having trouble. 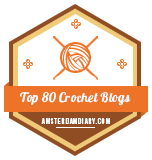 The video shows how to crochet into a flat surface, but how do I crochet into a 3D surface? Also do I slip stitch the line first and then go back to single crochet them or is there a way to surface crochet a single crochet line? Hi Katie! 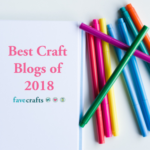 It’s the same technique, just make a sc instead of a slip stitch – when you’ve got the two loops on the hook, don’t pull the second one through, yarn over and then pull through. 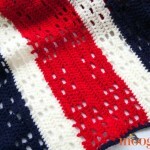 To crochet into the 3D surface you work around the stitches like front post stitches. I’m struggling to assembly the parts together. Do you have a video showing how to do it? Thank you for this pattern. I enjoyed making it. My friend is having twin girls. So I did two. 🙂 I’m so glad you liked it! THE IDEEA IS VERY LOVELY! I AM VERY HAPPY TO DISCOVER SUCH A MODEL ! 😀 Multulmesc to you too! Question about the body part of the pattern. Round 2: you say: 2st in each st to the last and 3st in the last (11 st). But if you multiply 5(st from the previous row)*2 (increase) =10, then add 3 sc to the last stitch comes out to 13 instead of 11. Do I need 11 or 13? Thank you so much for the help!! Kindly!! I figured it out right after I posted…my apologies…too tired to be able to count! I was suffering from the “one-more-row” syndrome! Thanks for your reply Tamara!! 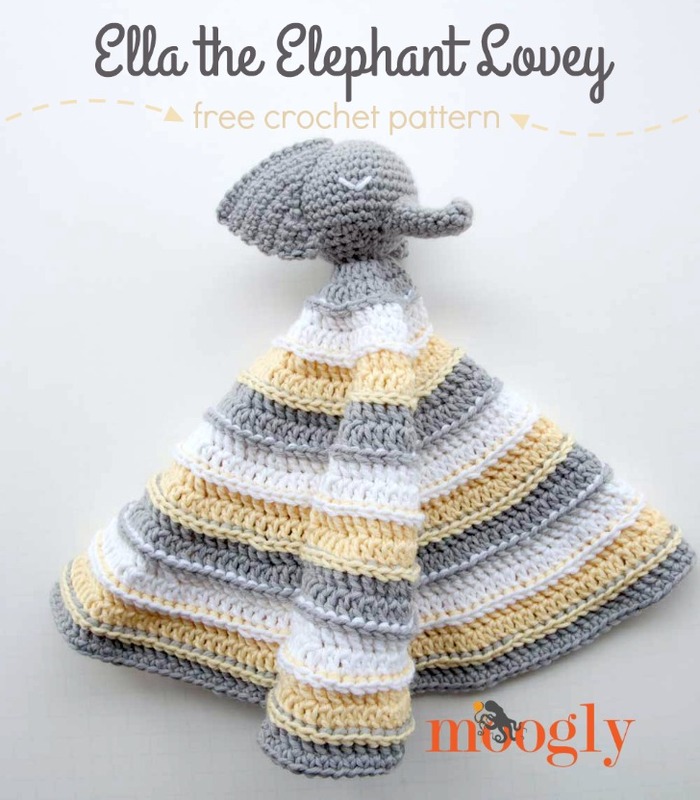 Am making Ella the Elephant Lovey and did not like that each time I added a new color, it showed as a break in the sbbp pattern. I experimented and found I could start the next round by wrapping yarn around hook rather than with a slip knot and then doing a sbp then chain two.. How did you add each color? 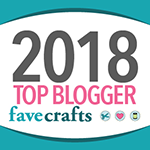 I am learning as I go and love your blogspot because you offer the videos so I can see how you do things. A great way to avoid the break is to replace the (join with a new color, ch 2, and first shallow bpdc) with a standing stitch. 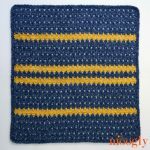 I would use the standing double crochet (tutorial HERE) to work the first shallow bpdc directly into the previous row. Does that make sense? How cute! I’m going to make one for my grandson and granddaughter The will love them. 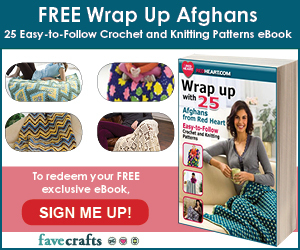 Thanks so much for sharing the free pattern! As I’m trying to use up yarn could I replace the yarn you used with Cotton instead? As I don’t have anything like the yarn that’s suggested. I too love using Cotton for my baby project. Can’t wait to start this one now.